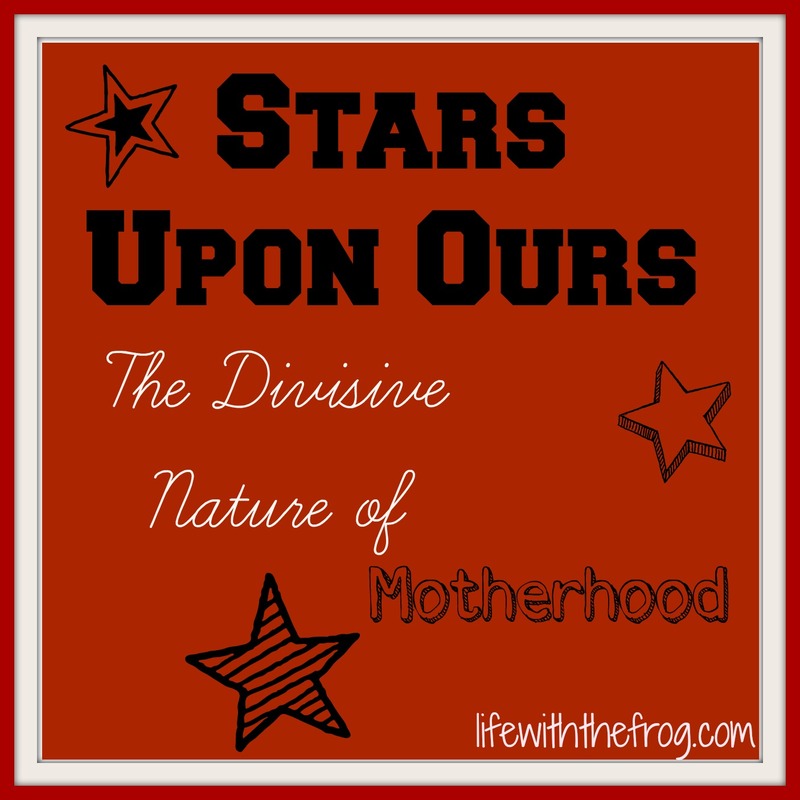 Few life paths are as divisive as motherhood. Sure, we all start down the path for the same reason - love of children and family - but we break off onto different trails and turn at different forks that leave others on the same path wondering why we went the way we did. 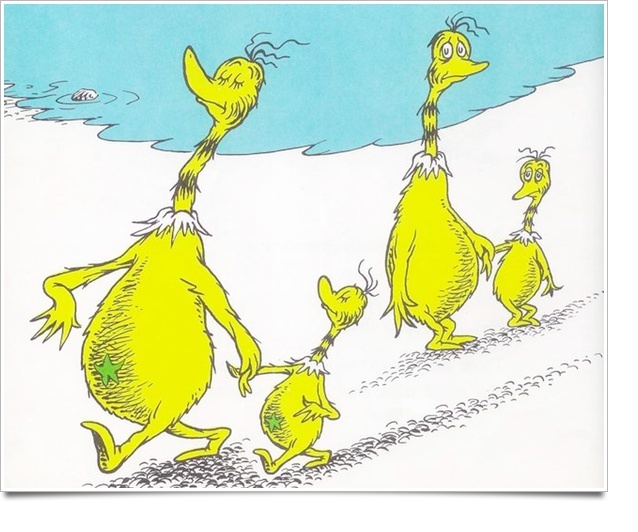 And because we do not all follow the same route, we become divided and separated into groups and categories just like Dr. Seuss's Sneetches - those with stars upon thars and those without. Some of us want the stars and get the stars and others have their stars removed and then it gets so jumbled up that no one really knows who had what or not or what paths they took or where they came from or who they are. Except we do. As mothers, we seem to keep score on a tally sheet big enough to hold a laundry list, a grocery list, and a honey-do list to boot. We seem to feel it is important to know who is doing what and when and how it turned out and if it was more successful than what we are doing. Because we think it matters. We think it matters how you feed your baby or how many times she works out in a week or if your friend let her baby cry it out and why the woman down the block will only carry her baby in a sling. Because it matters. Some of us wear our stars with honor. Our star is the best and brightest star. It is THE ONLY star to have! Everyone must know! Thank you, Dr. Seuss. I hope you don't mind. Others aren't so sure they should have their star. Maybe they should trade their star for the one you have. Maybe if they tried your star, they'd like it, and their life would improve. Maybe their star has been the wrong star all along. Perhaps they should take it off before anyone notices. 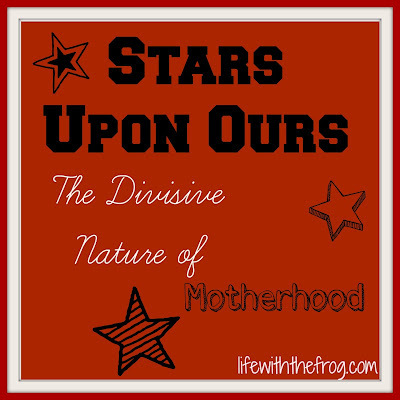 After all, our stars show the world our shame of infertility or our pride in perfect planning. 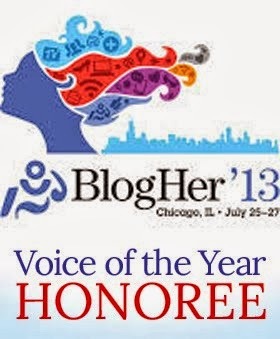 Our triumph over a natural, drug-free vaginal birth or the failure of a drug-induced C-section. Our stars show if we co-slept, parented without attachments or with, or the length and vigor with which we sleep trained. Here is your breast-feeding star! Bottle fed? Oh sorry, you don't get a star. You feed your children all-natural, organic meat and produce? Hooray! Here is your star. Oh, you're raising them vegan? Excuse me, let me borrow that star, organic mama. Drive-thru mom, you go to the other side of the island with those without stars on thars. Moms who find the time to work-out here, moms who don't over there. Working moms, stay-at-home moms, work-at-home moms - we don't know what to do with you. Back and forth and in and out and stars on and stars off. "Until neither the Plain nor the Star-bellies knew whether this one was that one or that one was this one or which one was what one or what one was who." Oh Dr. Seuss, you were a brilliant man. We need our own version of the fix-it up Chapette, a modern-day Sylvia McMonkey McBean to show us the silliness of our ways. Perhaps like the Sneetches, we moms can learn to become friends, to realize that no one mom is any more special than another mom just because she does something a certain way. Maybe we can stop wearing our stars like a Mommy Club badge of honor. Maybe we can see that green stars, red stars, or no stars on ours - well, they don't make a difference after all. What makes the difference is that we all started on the path to motherhood for the same reason. And just because I took a left turn at the fork when you went right doesn't mean that I am a better mom than you. It just means that we know what's best for ours. And you can take your star upon yours. Or not. I think I'll leave mine for McBean.